The complicated pipe system is widely used in industries with many pipe elements, where the flow is often unsteady and compressible associated with complicated behavior of pressure waves and shock waves. One-dimensional numerical schemes have been applied so far to analyze the unsteady flow field in the pipe. To the best of our knowledge, the numerical simulation was started with Jenny’s works(1) where a wave-diagram method was primarily employed. 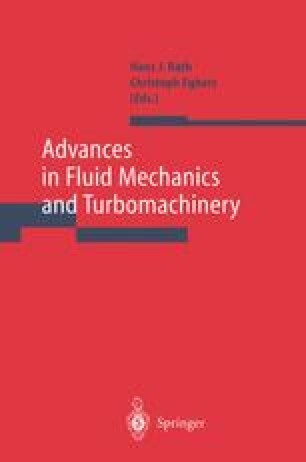 Subsequently, it is proved through many works(2,3) that the numerical analysis of such flow field in the pipe under the assumption of one-dimensional flow is effective and satisfactory in obtaining the unsteady flow pattern in the pipe. Various boundary conditions have been proposed and used to solve numerically the equations governing such a flow field. In general, the results by calculation depend more on boundary condition than on numerical scheme employed. Especially, the boundary conditions play an important role in analyzing the flow field throughout the pipe when a lower level scheme such as a one-dimensional scheme is used, where the empirical coefficients are significant parameters. Consequently, coding the program to analyze the flow field in a complicated pipe system will be very tedious even if a simple scheme is applied. In this paper, the boundary condition for three-way junction is derived based on the wave motion in the junction without the empirical coefficient. And the different boundary conditions for different pipe elements such as a nozzle, an elbow and a bend are generalized to give a unified conditions which are derived by analyzing the wave motion and developing the boundary condition for three-way junction.